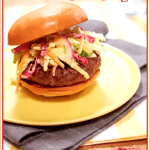 With this recipe you add MIRACLE WHIP into the burgers too for a juicy, awesome burger. No, I am not kidding – don’t knock it until you try it. Oh. My. Word! Psst.. you don’t just get the bold, tangy flavor of MIRACLE WHIP into the burger, but you load it up on top as well. Break the rules by taking coleslaw from the side of the plate to the top – the top of the burger,that is – don’t worry, be MIRACLE WHIP and Proud of It! 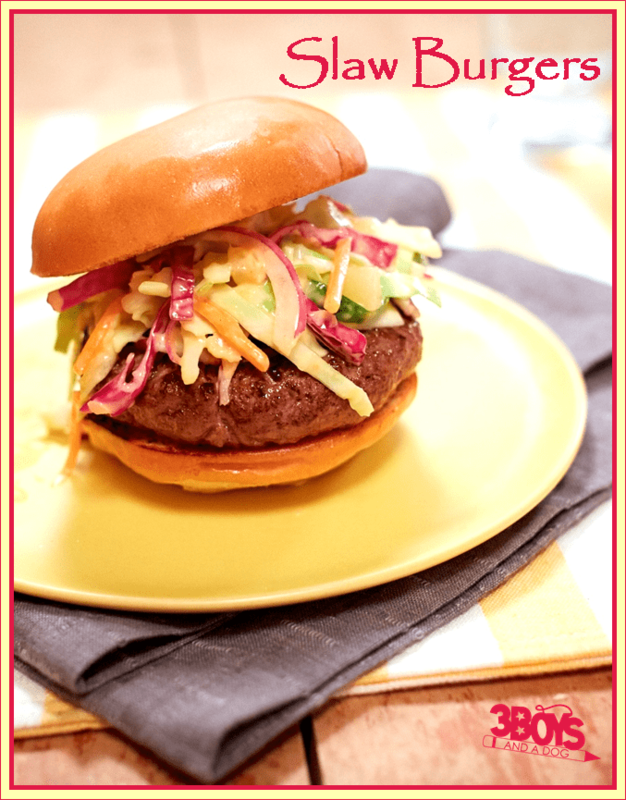 With the bold, tangy flavor of MIRACLE WHIP Slaw Burgers, be proud to show guests how you break the rules of slaw by taking it from the side of the plate to the top – the top of the burger, that is. MIX meat, garlic powder and 1/4 cup dressing just until blended; shape into 8 (1/2-inch-thick) patties. Grill 5 to 6 min. on each side or until done (160ºF). COMBINE remaining dressing with all remaining ingredients except buns. FILL buns with burgers and coleslaw. Here are a few more recipes to help you round out your next backyard BBQ! We have backyard BBQs all the time in the South, but sometimes they don’t quite go off without a hitch. 🙂 Things happen, but with these tips the likelihood of “things happening” will be much less. LOL! Bugs and food go together like doughnuts and a juice cleanse – they just don’t! So serve up your potato salad, slaw and other sides in single serving size jars with lids – a stylish alternative to covering bowls with plastic wrap and, bonus, it keeps the bugs out! As you know, kids sure are proud of their mess AND their art. So why not combine the two? Have the kids’ table lined with butcher-block paper for them to showcase their art skills while the grown ups bore them with conversation – and it makes clean up a heck of a lot easier. When hosting an outdoor party, things can get heated, in the sun that is. So to keep guests cool and happy have a basket of outdoor must-haves on hand like handheld fans, baseball caps and sunglasses – and don’t forget the sun block!